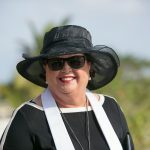 We know that Grand Cayman has some of the best beaches in the world, and Seven Mile Beach is always making some travel writer's Top 10 list. 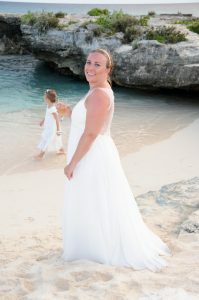 However, this week I see that Destination Wedding and Honeymoon magazine has featured Smith's Cove in it's Top 10 list of Secluded Wedding Beaches. 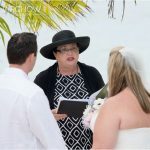 I have hundred's of pictures of real weddings I have officiated at Smith's Cove, and it's even more secluded neighbour "My Secret Cove". I guess it's just something about the rocks, and the starkness of the landscape, but my clients love this area even more that the delicate and panoramic views of Seven Mile Beach. 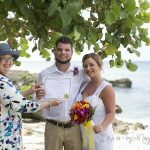 If there are children in your wedding party, Smith's Cove with its lizards, iguanas, "love-ants", rock pools and shells is the perfect place to explore. If you let me know in advance that you have children in your party I will be sure to bring them a star-fish or sand-dollar as a souvenir. We can usually find a way to include them in the ceremony. 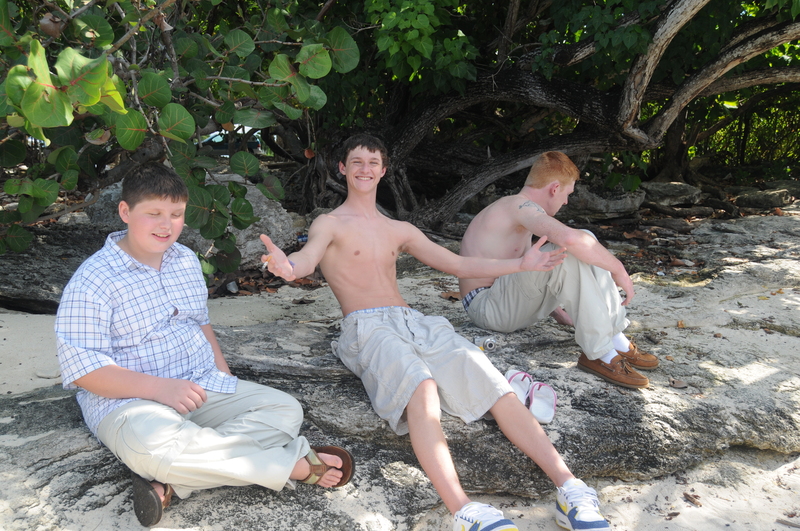 These young men were travelling with their parents on a cruise, and had a great time at My Secret Cove. A little known fact, Caymanian teenagers enjoy diving off the rocks at Smith's Cove, of course you have to know just where to jump off. While I do beach weddings at Smith's Cove and My secret Cove every week for couples who arrive by cruise-ship to get married, these spots are just as popular for sunset beach weddings. 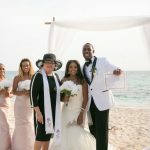 Be sure to let us know your preferred wedding location when you download the application form from this website, or have a look at some more Cayman wedding beach locations in our Gallery. 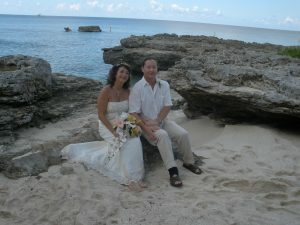 If you have other ideas for your dream Grand Cayman wedding, ask us. We live here, and we can find the location to suit each couple. Peggy and I look forward to seeing you at the Simply Weddings office, George Town, Grand Cayman. 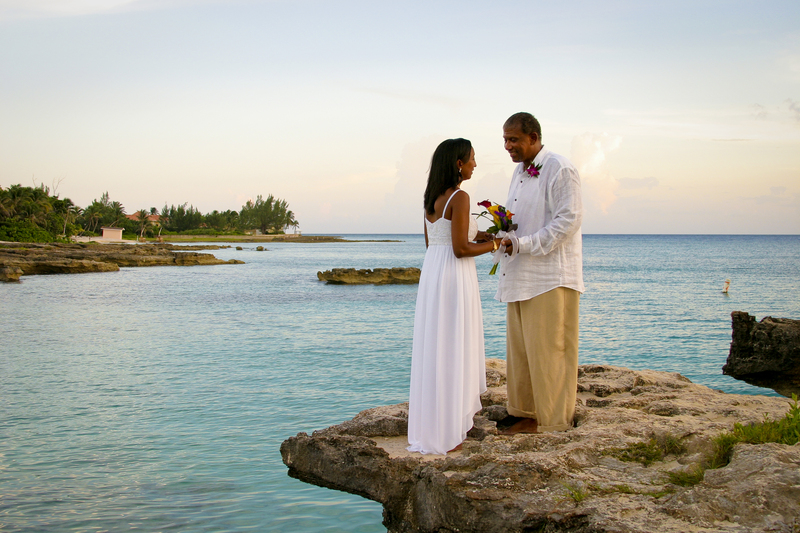 Residents welcome, ask about our resident's wedding packages for your simple, elegant and affordable Grand Cayman wedding.